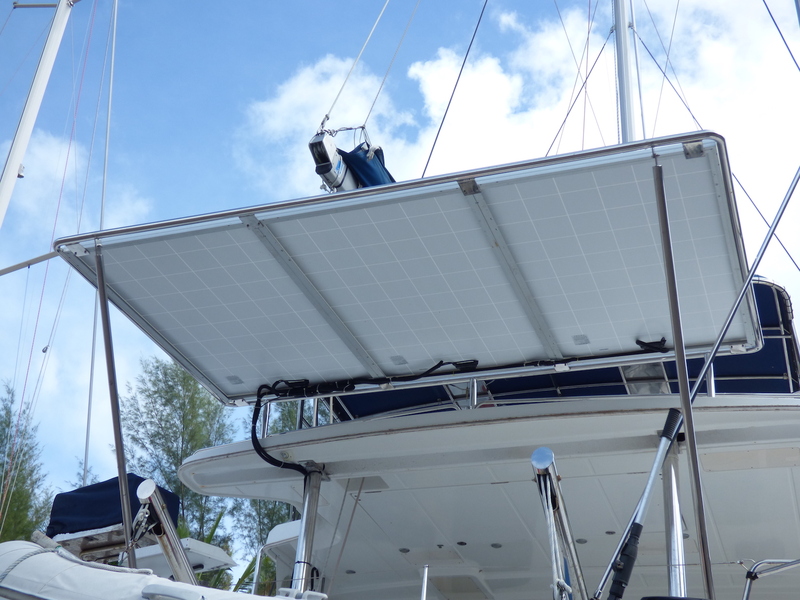 Complete Kits with 265 watt panels below or substitute for 340 watt panels for extra power. Email for a data sheet on the 340 watt panels. You know the fine print story, all subject to change without prior notice blah blah. • Freight & packing to Telaga, RLYC or the location of your choice. Rebak delivery may require additional involvement and expense. This is the option favoured by the 1 or 2 fridge boat, this installation is simply both panels connected via the 2 into 1 plug and cabled to the controller. 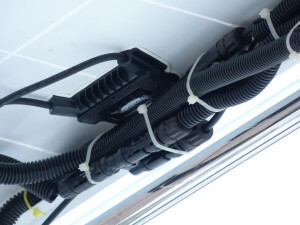 Popular with catamarans and larger monos the above involves joining 2 panels in parallel (with the supplied 2 into 1 plugs) and connecting to a controller. The third panel is independently wired with supplied cable to the second controller or all wired in parallel to equally share the controller output; each has advantages. • Packing and delivery as above. This will suit the really heavy user but will go a long way to running your show even in bad weather conditions.